SpriteBatch.cs - Effect.cs - "This does not appear to be a MonoGame MGFX file!" 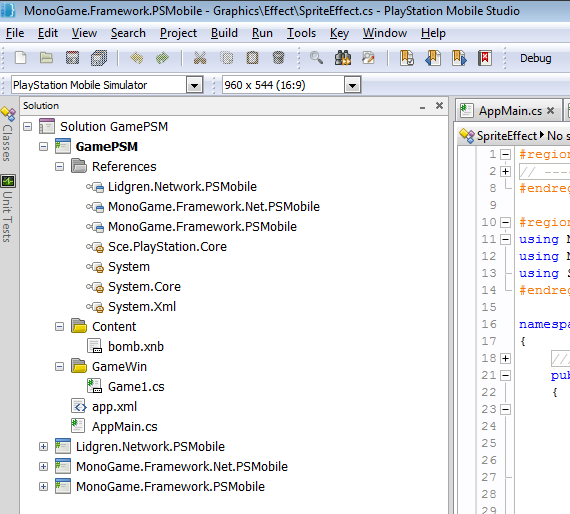 Attempting to import a super simple 'Monogame Windows project' to 'PSM'. "This does not appear to be a MonoGame MGFX file! "is thrown. Been struggling to find a workaround for this for many hours; it's broken my brain. I re-rigged the contents of the constructor to bypass the MGFX Header Reader and then swapped out some of it's guts with some older source. A little bit 'amateur-hour', but it works damn-it! Still on the lookout for a better solution. // First look for it in the cache. //    // Cache the effect for later in its original unmodified state. // Cache the effect for later in its original unmodified state. I submitted this, alongside a patch to ease PSM song loading with XNA XNBs. 3 commits changed 4 files with 24 additions and 6 deletions.